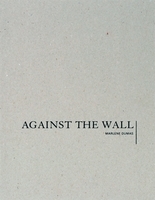 Hardcover, 9.75 x 12.75 in. / 72 pgs / 26 color / limited edition of 1,000 copies. 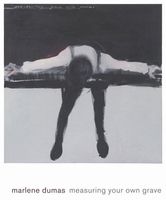 The lyrically charged paintings of Marlene Dumas (born 1953) eulogize the frailties of the human body, probing themes of love, melancholy and confusion even as they slyly critique racial and gender prejudice. 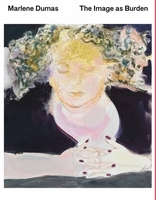 Dumas' particular gift is to freight the haunting handling of her imagery with a political and/or sexual edge. 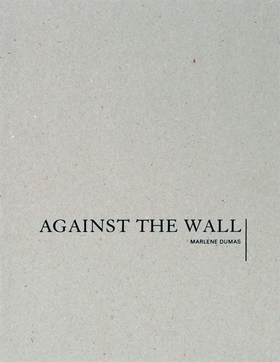 Famed internationally (especially since her Museum of Modern Art retrospective of 2008) after three decades of perfecting her vulnerable and poised style, Dumas continues to evolve these universal themes of love and loss. Her newest series, titled Against the Wall, is comprised of large-scale paintings that include scenes of mourning mothers at the Western Wall in Jerusalem (also known as the Wailing Wall). Published on the occasion of Dumas' exhibition at David Zwirner, Dumas' first at the gallery, only a few copies of Against the Wall are available, making it certain to quickly become a collector's item. Essay by Marlene van Niekerk. FORMAT: Hbk, 9.75 x 12.75 in. / 72 pgs / 26 color / limited edition of 1,000 copies.